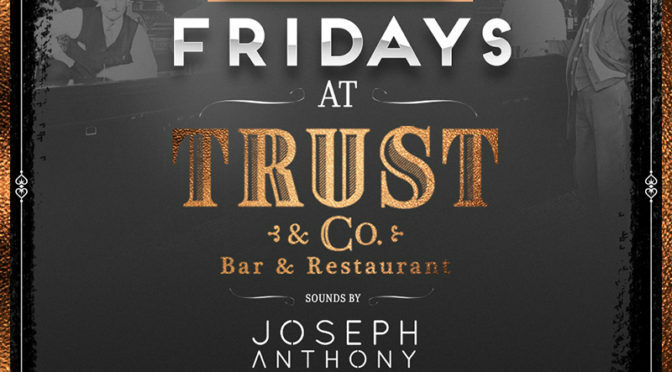 September 16th, 2016 Fridays at Trust & Co. 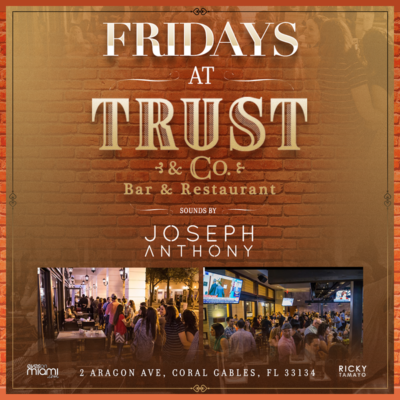 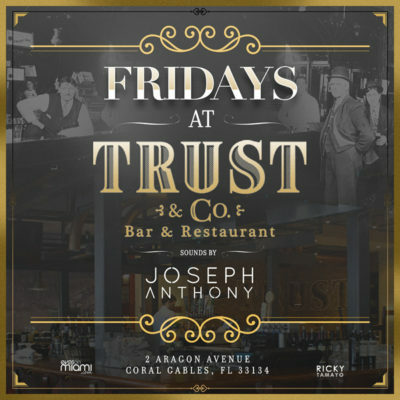 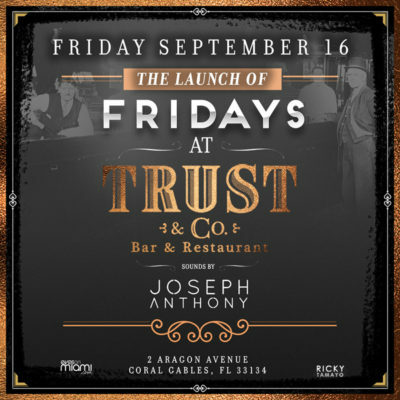 The official launch of The new Friday party at Trust & Co. brings out all the Miami locals to the new hot spot in Coral Gables. 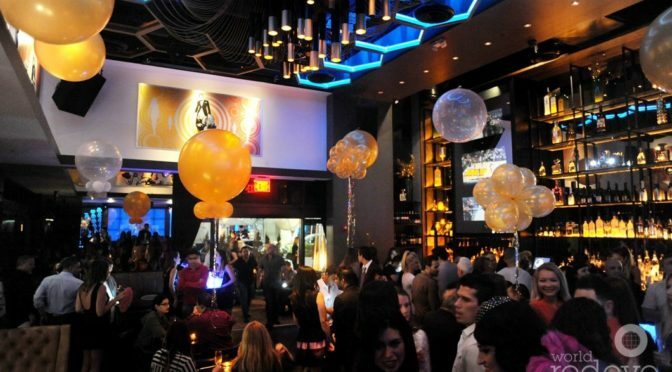 Come to dine drink or dance the night away to a selection of old school 80’s 90’s and todays top 40 music. 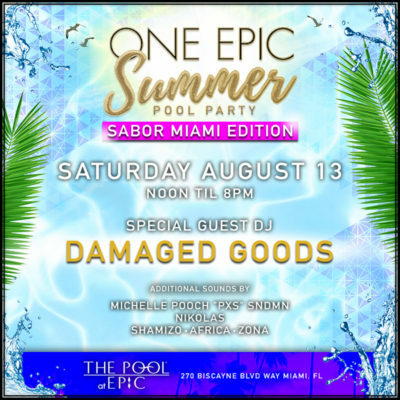 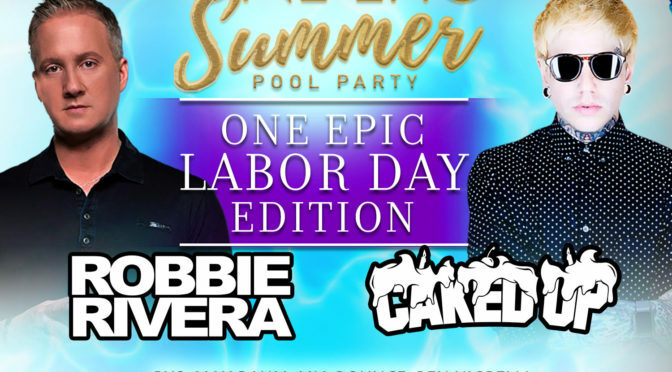 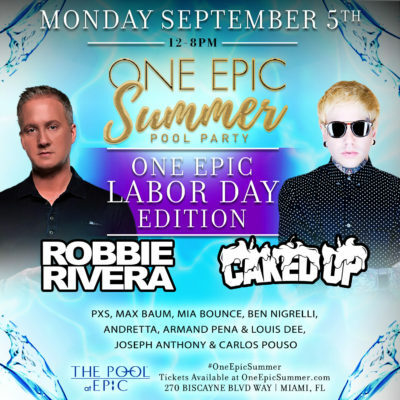 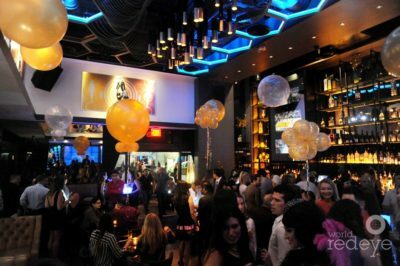 Contact us at 305.299.4110 for large parties, dinner RSVP’s, birthdays and bottle specials. 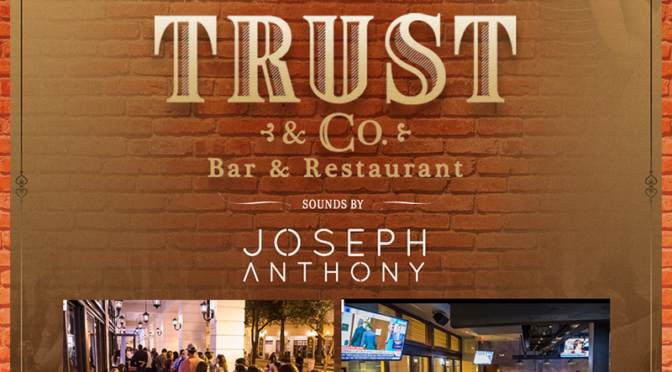 September 9th, 2016 Fridays at Trust & Co.
August 6th, 2016 Saturday’s at Novecento Lounge in Midtown!